Next libraries need to identify their brand’s distinction. This means that libraries must define their message and position while determining what it is that sets them apart from the competition. This distinction is the potentially branded product. So, to determine what the distinction is, libraries need to ask themselves; are they the first, best, most innovative, or luxurious in the category of companies performing similar functions in the community? It looks as though libraries have two services that are important to the target market. These being free access to information and also as a community centered organization. So to answer this question, I might say that actually libraries were the first at providing free access to information within a community. Having been in existence as a concept for thousands of years libraries have had very little to compete with as far as firsts in freedom of information. However, as a community centered organization libraries might not be the first or the original. There have been gathering areas within communities since the beginning of communities, whether it was the tribal fires where members would gather for stories, the Stoa where Socrates gathered members of the Greek community to teach, or any of the other millions of examples of community gathering places throughout history. 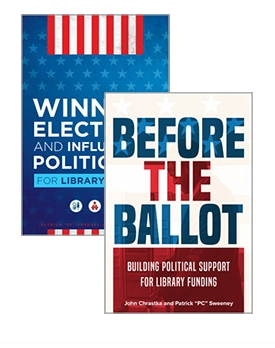 So we need to recognize that while libraries are viewed in the public’s perception as places of information they still do have heavy competition for the community’s view of libraries as a first in community gathering places. Once again libraries are the best at providing free access to information. Even with the invention of the Internet, libraries are more cost effective when quality of information is taken into account. Also, for the patrons, libraries cost nothing (outside of time) if the patron wishes to use a computer to access the Internet. Unlike a home computer that can cost thousands of dollars before access can be had, and even after this startup price there are still monthly fees the library is free no matter what the patrons financial status. So libraries are the best at providing free access to information, but how are they as a community center? This may be the libraries advantage. Although community centers have been around for thousands of years, in the current society there are very few community-centered organizations that work to provide services for the betterment of the community or as points of gathering in the community that are as good or comprehensive as the library. The library may not be a perfect community centered organization but they still may be on of the best. Libraries downfall may be that they might be one of the least innovative information sources available. There are a number of libraries that do not have enough (or any) of the latest technology to access or use information. With the constantly changing information age storage formats are outdated and useless at a much quicker rate. This means that libraries must continuously be innovative and keep up to date with information systems as well as being innovative in creating some of their own. On the other hand, libraries are very innovative when it comes to being a community-centered organization. They are so much so that oftentimes the successful community programs developed by the library are integrated in to private businesses such as bookstores, and after school literacy programs. Lastly, the luxuriousness of libraries is on the increase with such library systems as San Jose, San Francisco and Chicago. These types of systems are highly luxurious and are oftentimes destinations themselves simply because of the luxuries they offer. With this understanding of the distinctions of a library they can then continue to move to distinguish those distinctions in the minds of the patrons. 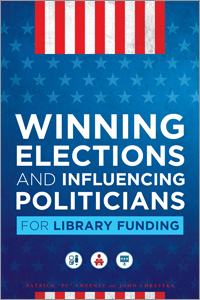 By promoting the fact that libraries are the first at providing free access to information, or by selling the community empowerment of a library, they can help develop the library brand’s meaning for the patrons.